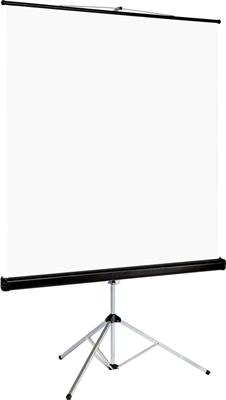 Tripod Connect is a portable projection screen ideally suited for a mobile and flexible use. The screen has a black cassette and a robust and detachable tripod stand which makes it perfect for mobile presentations and home theatre. The screen is light weight and easily set up in just a few moves. The Tripod Connect has a built-in keystone eliminator and is therefore a perfect match with use of overhead projectors.